Are These Brain Symptoms Holding You Back? Why Isn’t Your Brain Working? Losing your memory? Can’t focus or concentrate? Do you have brain fog or tire easily? Have you lost your zest for life or motivation? Do people tell you this is all a normal part of aging? If so, your brain may be growing old too fast, or degenerating. Modern diets, a stressful lifestyle, and environmental toxins all take their toll on the brain. This doesn’t just happen to seniors – brain disorders and degeneration are on the rise for young and old alike. Brain degeneration affects millions of Americans of all ages. The destruction sets in years or even decades before Alzheimer’s, Parkinson’s, multiple sclerosis, or other serious neurological diseases can be diagnosed. The good news is the brain is extremely adaptable and wants to get well. You simply have to know how to feed and care for your brain. Learn how to spot brain degeneration and stop it before it’s too late. When the brain starts to degenerate, you often feel very, very tired. Brain-based fatigue is often overlooked, yet when combined with brain fog, depression, and memory loss, it is a serious red flag. Sadly, both conventional and alternative healthcare professionals are not taught specifically how to diagnose or treat brain-based symptoms. Here’s the interesting thing about brain health. You can’t use just anything to treat it; certain fundamental, foundational clinical steps have the biggest impact on changing the brain. Take a brain function assessment. Learn nutritional and lifestyle factors that can impact why you have declines in brain function. Learn exercises and other strategies to activate your brain. Learn dietary and nutritional steps to make a difference in how your brain functions. I’ve spent more than a decade teaching several thousand hours of postgraduate education to health care providers all around the world on chronic illnesses, autoimmune disorders, and complex neurological disorders. As a Research Fellow at Harvard University Medical School and a recipient of the International Association of Functional Neurology and Rehabilitation’s Researcher of the Year Award, I’ve been frustrated by how long it takes for the most cutting-edge science to be implemented by practitioners. This course is my attempt to bridge that gap and directly present the latest discoveries in brain health. It distills years of research and work with thousands of patients into a comprehensive, yet easy-to-follow program, that teaches the foundational steps to achieving optimal brain health. I designed this course as if you were a patient in my clinic. Together, we will implement effective and easy-to-understand strategies to save and improve your brain function and thus the quality of your life. 23 brain course video tutorials; audio-only downloads included. 23 brain course PDF transcripts from the audio – read the information from the video tutorials. 24 digital workbooks including questionnaires, do’s and don’ts, and diet and exercise information to help guide you through the process to better brain health. 17 pre-recorded Q&A webinar videos with Dr. Kharrazian, plus audio-only downloads and transcripts – 17 hours. 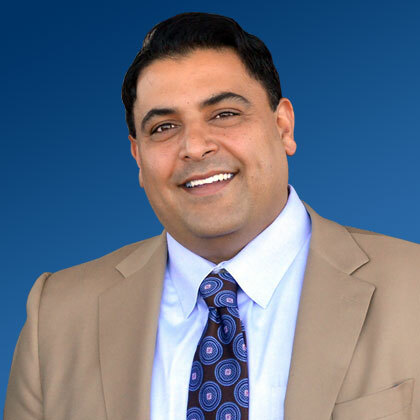 A members-only Facebook group with active support from the community and Dr. Kharrazian’s team. Ability to download the complete course to your home computer so you can watch/listen to it on your mobile devices and have ongoing access. Customer support to answer your questions. Course glossary with definitions of brain-related terms. An unconditional 30-day money-back guarantee. Get started right away repairing your health and saving your brain with an anti-inflammatory, brain-healing diet and gut-brain exercises. A $29 value. Do you react to many foods and is that list ever growing? This course pulls together the latest research on food sensitivities and teaches you how to retrain your immune system so you can enjoy more foods. A $49 value. You have two ways to pay: You can purchase the program in one payment at $297. Or extend your payments over three months at $109 each. Flexible payment option for you to get instant access to the program. 3 payments of $109 per month billed to your credit card. Get instant access with only one payment for $297 via credit card or Paypal! I am very confident in this program because I have seen it work not only with past members, but also with countless patients. I want you to feel confident, too. 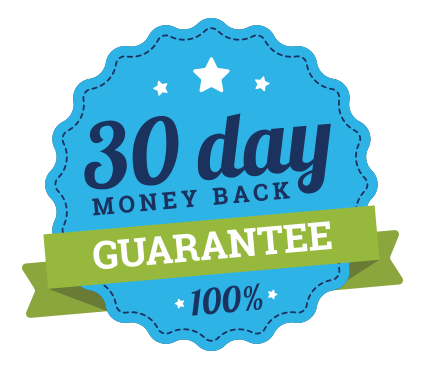 Therefore, I am offering a 30-day, 100% money-back guarantee.